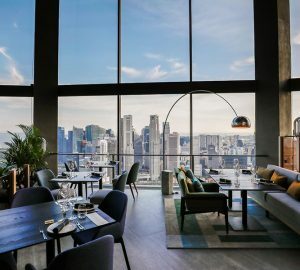 Respected awarding body The Bar Awards recognises the best of the best in the professional bar and hospitality scene across Asia and in 2019, it’s gearing up for its biggest awards season yet. As The Bar Awards’ official media partner, we’ll be breaking the latest news and announcements right here on DRiNK Magazine Asia. 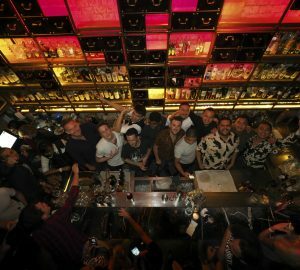 To recognise the smaller Asia bar communities that are beginning to mature into flourishing bar destinations, The Bar Awards On Tour, with the help of KOMB ­­– a Thai based events initiative – will be touring Manila, Jakarta and Bali with a handful of international and well-renowned bar brands. 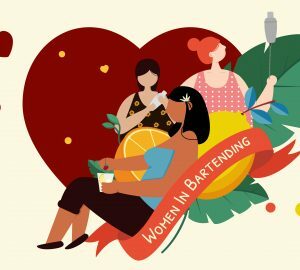 These international bars and bartenders will host masterclasses and parties for those cities to enjoy, meaning cocktail fans and the local community can gather, exchange knowledge and create lifelong friendships. Visiting bartenders will also bar hop so hospitality professionals can exchange knowledge and inspire one another. Look out for The Bar Awards On Tour in Manila from June 26 to 27 and Jakarta and Bali from August 6 to 8. The Bartender Invitational is a platform where The Bar Awards invites Bartender of the Year winners to come to Singapore during the Restaurant, Pub and Bar Asia trade show to compete to see who will be crowned as the ultimate Bartender of the Year, from July 17 to 19. 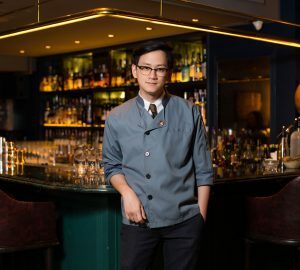 The 2018 edition saw Hong Kong’s Bartender of the Year, Jay Khan of COA become the ultimate Bartender of the Year. 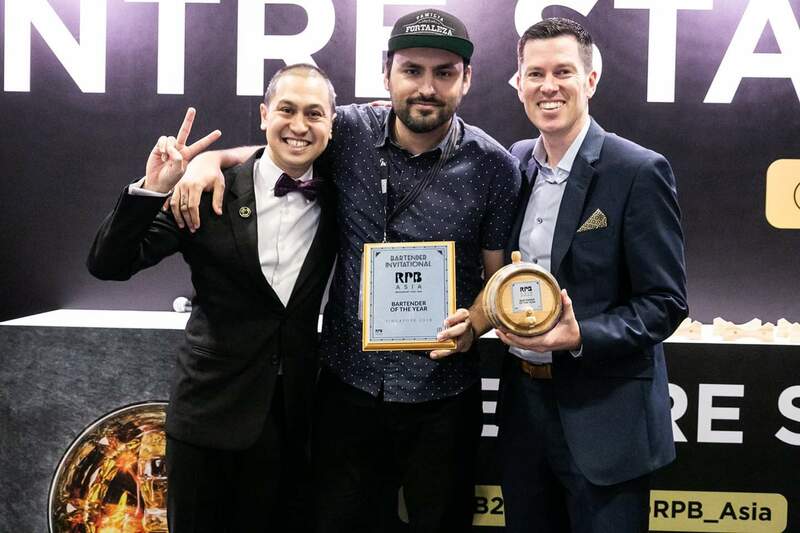 Jay will return to defend his title against The Bar Awards 2019 Bartender of the Year winners, including Australian Bartender Magazine’s Bartender of the Year winner Jenna Hemsworth of Hubert’s in Sydney. Public nominations are now open and closes on the February 17. To nominate your favourite bars and bartenders to win one of the 13 awards, click here. The inductees to The Bar Awards Luminaries are those that have greatly contributed to the growth and development of the Thai bar community. 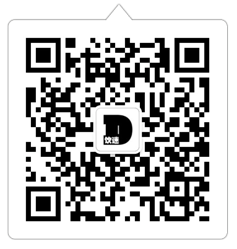 This award may honour an individual, a number of individuals, a group and/or an initiative. The inductees are nominated by the general public, voted by The Panel and finally decided by the Lead Panel. 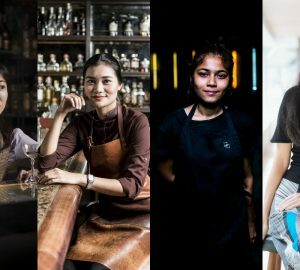 The 2019 inductees will be announced at The Bar Awards Bangkok awards party on March 31.
Who is the best bartender that has recently joined the hospitality industry that is 26 years old or younger? The candidate must be born on or after January 1 1993, must be working in an establishment in Bangkok that serves alcohol as of the nomination date and previous winners are not eligible to be a finalist or win this award. 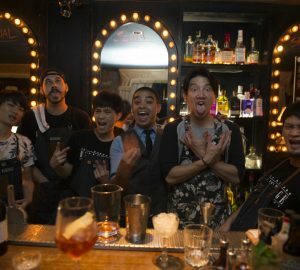 Which restaurant has the best bar program and bar team? This award recognises the best beverage program and bar team in a restaurant establishment that is providing their customers with a great dining and beverage experience. The nominated establishment must serve food created by a designated culinary team and must be a restaurant. Which establishment has the most knowledgeable team, an exciting – but not necessary the largest – beer selection and provides the best in beer enjoyment experience? This award acknowledges the hard working establishments that is providing a well curated beer selection that is making beer drinking an enjoyable educational experience. Which rooftop establishment is providing the best bar experience? This category is open to all establishments that are situated within the top three floors of a building, but the establishment does not need to be an open air venue. Which high quality beverage product represents Thailand the best? This award aims to encourage more high quality products to be made from the resources available in Thailand. 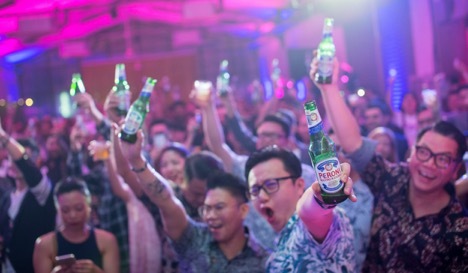 The Bar Awards also wants to promote high quality Thai brands to the rest of the world. This category is open to any bar or beverage product that is owned and/or produced in Thailand. Which individual exudes and provides the best hospitality for their guests? This award aims to acknowledge an individual that is providing the best hospitality to all of their guests as well as encouraging others to choose and join the hospitality industry. The candidate must be working in an establishment in Bangkok that serves alcohol as of the nomination date and is open to anyone who works in an establishment, including chefs, bartenders, wait staff, finance/back of house and so on. Which establishment provides the best hospitality for their guests? This awards aims to recognise the hard work and effort of an establishment that exudes the values of hospitality. These may include but not be limited to: making the guest feel welcome; making the guest comfortable; looking after the guest’s happiness and so forth. Which establishment has the most creative cocktail program? This award aims to recognise and acknowledge the hard work and effort that a team puts into creating the most innovative, unique and creative collection of cocktails. Which is the best new establishment that has been opened in the last year? This award aims to encourage more new f&b establishments to open to create new jobs and opportunities for that city. This awards recognises and acknowledges the greatest bars that have opened within the last one year. The nominated establishment must have been opened for one year or less from the nomination date. Who is the best bartender, role model, leader, mentor and all round good person in Bangkok? This award aims to recognise and acknowledge the hard work of an outstanding talent within the local bar and beverage community. This person should be assessed not only on how they are during their work hours but also how they represent themselves, their colleagues, their workplace and their community outside of work. The candidate must be working in an establishment in Bangkok that serves alcohol as of the nomination date. Which is the best bar in Bangkok? This award aims to recognise and acknowledge the hard work of an outstanding bar team in the local bar and beverage community. This bar should be assessed on every factor that makes a great bar. This may include but not be limited to: experience; atmosphere; skills; hospitality; price; profitability; cleanliness and so forth. To nominate your favourite bars and bartenders to win one of the 13 awards, click here. DRiNK Magazine is the official publication partner for The Bar Awards 2019.